Mary Siebenmorgen in food science is one of seven students selected to receive Undergraduate Research and Creative Award grants from the Bumpers College. FAYETTEVILLE, Ark. – Research by students on earthworms, the storage of peaches and nectarines, and creating awareness of STEAM to children are among seven studies selected by the Dale Bumpers College of Agricultural, Food and Life Sciences to receive Undergraduate Research and Creative Award grants at the University of Arkansas. Students awarded are Alyssa Ferri, Callan Lichtenwalter, Srusti Maddala, Jacob Maris, Matthew Sena, Mary Siebenmorgen and Meaghan Tipton. Four of the seven are conducting research in the Department of Crop, Soil and Environmental Sciences. Ferri is receiving $750 for her project, "Quantifying Population Sizes of Native and Exotic Earthworms in Areas of Varying Management in Northwest Arkansas." Ferri is an environmental, soil and water science major working with professor Mary Savin and clinical assistant professor Lisa Wood in CSES. Lichtenwalter is being awarded $1,000 for her project, "Impact of Teat Order on Feed Consumption in Swine from Birth to Nursery." An animal science major, she is working with professor Jason Apple. Maddala receives a $1,000 grant for her research, "In-Situ Plant Uptake of Excess Nutrients and Consequential Alteration of Rhizosphere Dynamics." An environmental, soil, and water science major, she is being advised by Wood. Maris has earned a $500 grant for his project, "The Effectiveness of Rice Straw as a Substitute for Barley Straw in Inhibiting Algae Growth." Another environmental, soil and water science major, he is also working with Savin and Wood. Sena is receiving $1,000 for the project, "Adsorption Potential of Benzobicyclon Hydrolysate in Arkansas Agricultural Soils." Also an ESWS major, he is being advised by assistant professor Cammy Willett. 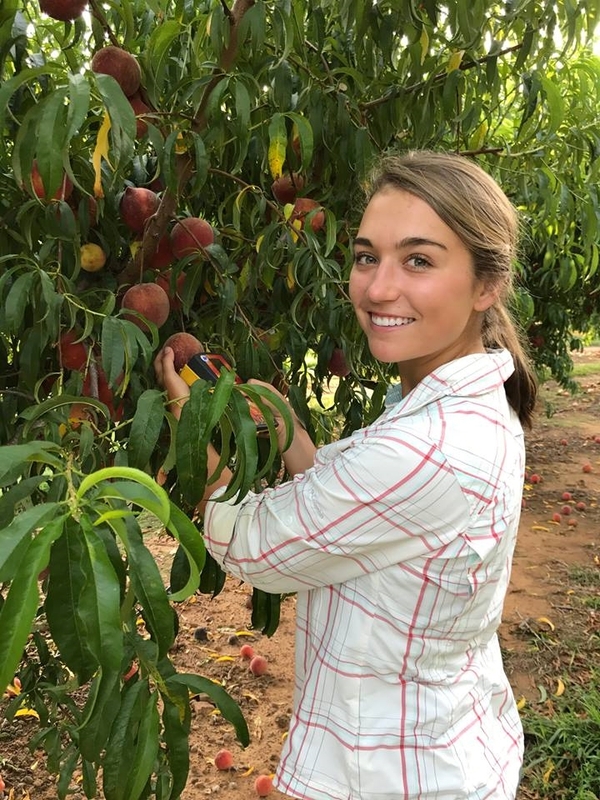 Siebenmorgen has been selected for a $500 grant for her project, "Monitoring Postharvest Storage of Peaches/Nectarines to Characterize Ripeness Attributes." A food science major, she is working with research scientist Renee Threlfall. Tipton has been awarded $500 for her research, "Creating a Better Understanding of STEAM for Children." A human development and family sciences major in Bumpers College's School of Human Environmental Sciences, she is working with clinical assistant professor Laura Herold. Proposals were reviewed by Bumpers College faculty who serve on the honors program committee. Funding is for one year, through Dec. 1, 2018. Students are required to submit a summary of their project and how the funding was used.